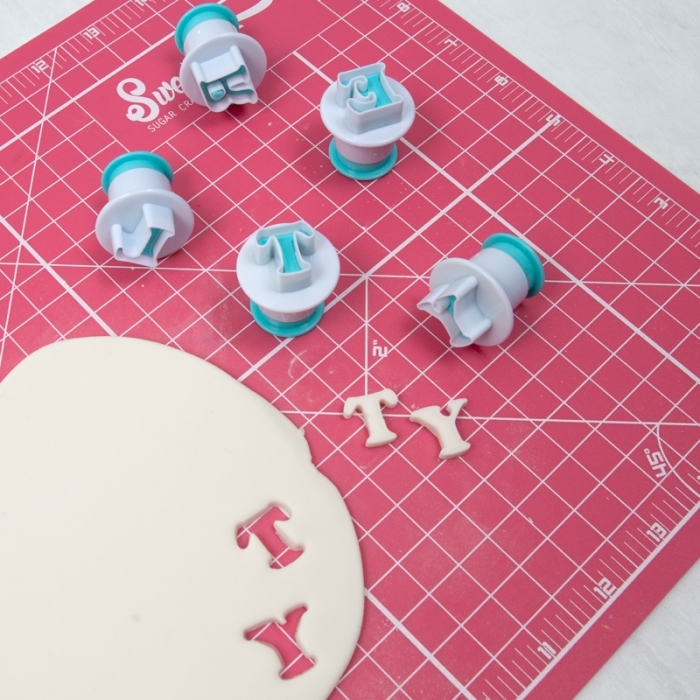 These easy to use upper case plunger cutters are perfect for cutting out letters with gumpste, fondant or marzipan to decorate, cakes, cake boards and your other edible projects. 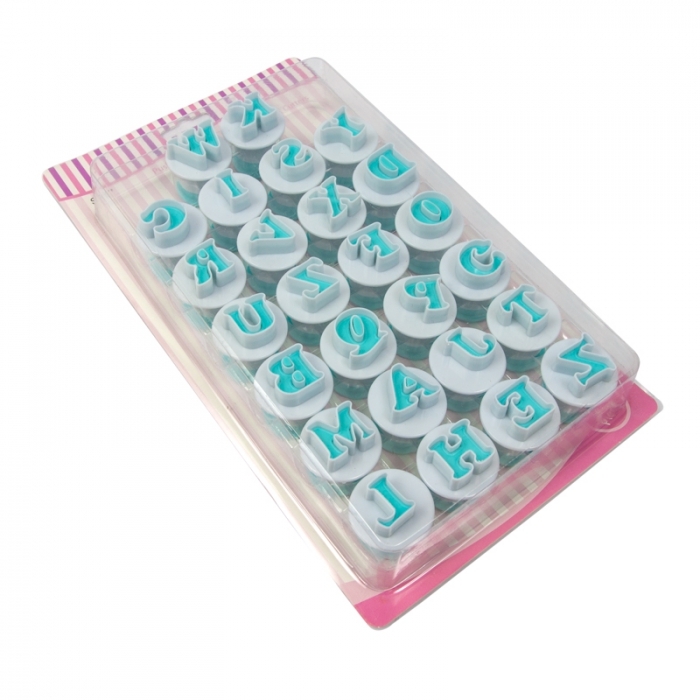 Lower case letters measure approximately 2.2cm high x 2cm wide depending on letter. You can dust the cutter with a little cornflour to help with easy release. Press the cutter gently down until it custs through the paste and touches the surface below. Twist the cutter gently from side to side and gently lift. You can then press the top of the cutter down to add the embossed line. Lift the cutter and press the top eject to release the cut and embossed sugarpaste. Also available in numbers and lower case.